Welcome to Kavanagh Country. 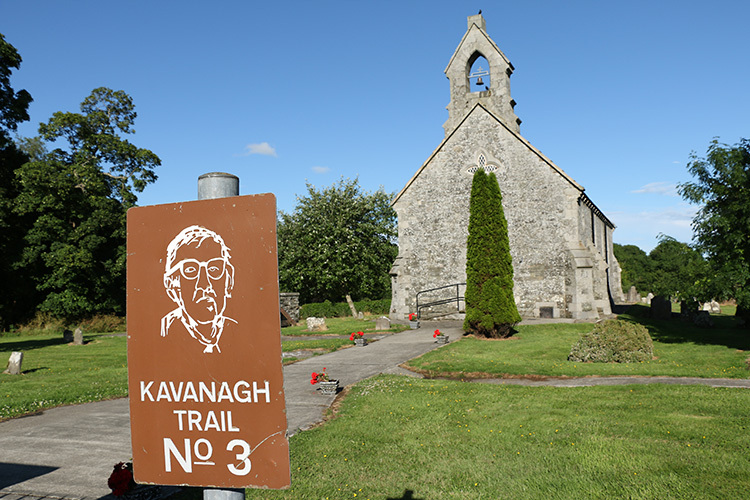 This trail takes in the sites made immortal by the works of Patrick Kavanagh, including many featured in “TARRY FLYNN ” and “THE GREEN FOOL”. 1. 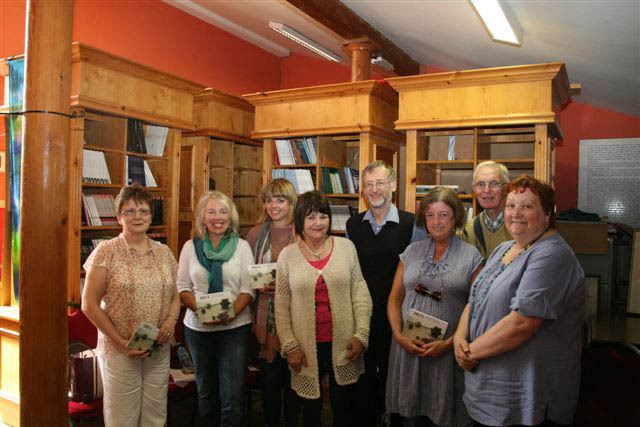 Patrick Kavanagh Rural & Literary Resource Centre: Formerly St. Mary’s, the building was the R.C. Parish Church until the mid ’70’s. Built around 1820, the roof span was considered wide in its time – many using their “fear” that the roof would fall on them as an excuse to remain outside the entrance porch at Mass. The Church and its Parish Priest were to become immortalised in Kavanagh’s classic novel, “TARRY FLYNN”. 2. Norman Motte & Augustinian Monastery: (12th Century Ruins)The Normans could not hold Inniskeen, due to the strength of the Ulster clans in the area, and were forced to turn south from Roche Castle at Forkhill extending their Pale southward through Ardee. 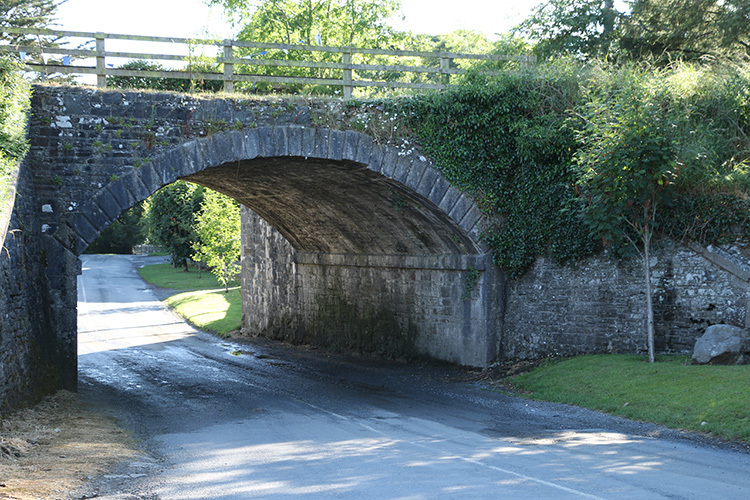 Hence, Inniskeen lay “beyond the Pale”. The Augustinians were the last religious order to establish itself in Inniskeen: the first monastery here was established in the 6th Century by local patron saint, St. Daig, at “Inis Caoin” – “The Pleasant Island”. 3. Folk Museum & Round Tower: The Round Tower dates from the 9th Century, and the site itself probably dates back to St. Daig’s monastery. The disappearance of the “island” is attributed to the diverting of the river by a mill upstream in medieval times. In later years, the Church of Ireland, used the Round Tower as a belfry – until the weight of the bell caused the top portion of the tower to collapse. 5. Church of Mary Mother of Mercy: The present R.C.Parish Church won an architectural award on its completion in 1978. Its “conch shell” shape symbolises the journey of the pilgrim, and is mirrored in the surrounding twisting hills. 6. Dance Hall at Mullaghinsha: Built in the late ’30’s by a group of parishioners, the hall was to become defunct as the local parish priest declared it out of bounds and opened his own dance hall in the village – where he could keep a proper eye on the goings-on! The row over the two halls was to be the central plot of “TARRY FLYNN”. However, Kavanagh was persuaded to edit it out of the novel during its many redraftings in the ’40’s – probably due to the still-high emotions in the parish on the subject. 9. Slieve Gullion View: Taking a slight detour off the Kavanagh route, this hill affords spectacular views of Slieve Gullion, fabled home of giant, Finn Mac Cool. To the west, one can see the heather-clad Lock-an-Lae hills at Cavant, and to the south and east stretches the legendary Plain of Muirtheimne, over which so many battles raged, including that for the famous Brown Bull of Cooley. 10. 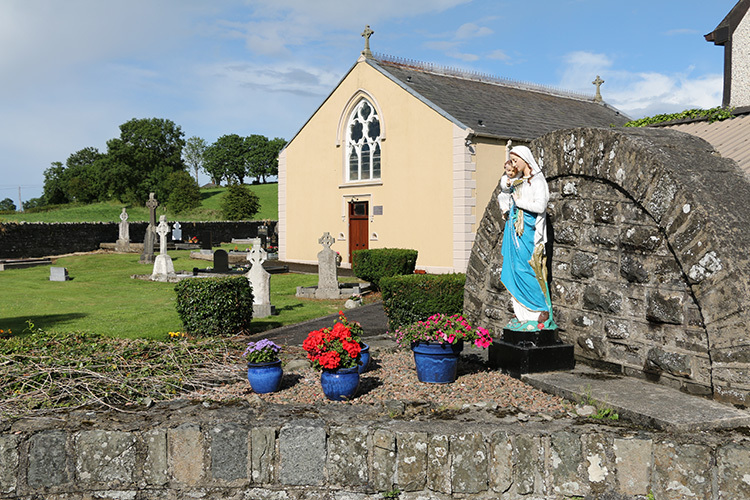 Drumcattan Church: The townland of Drumcattan has many links with Kavanagh. It was to Campbell of Drumcattan that Patrick’s father was apprenticed to learn the shoemaking trade. 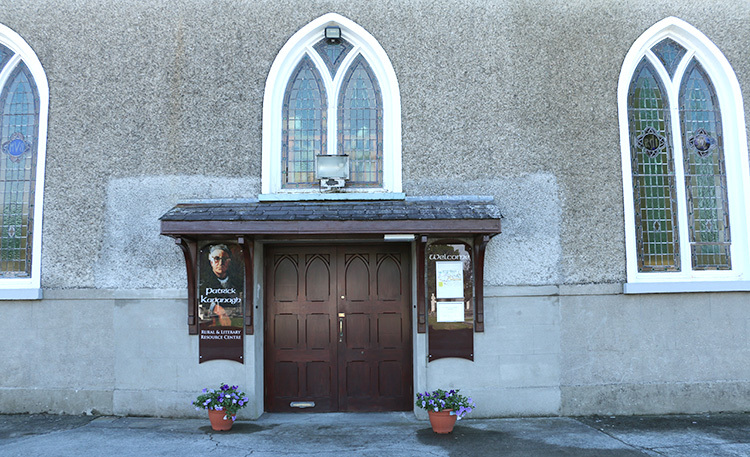 In later years, Kavanagh was to immortalise in his novel “THE GREEN FOOL” the sounds of Sunday worship from the chapel intermingling with the worship offered up outside in the ordinary language of the people, as Pat Jennings the pig killer took orders for his services, the day before the market in Carrickmacross. 12. 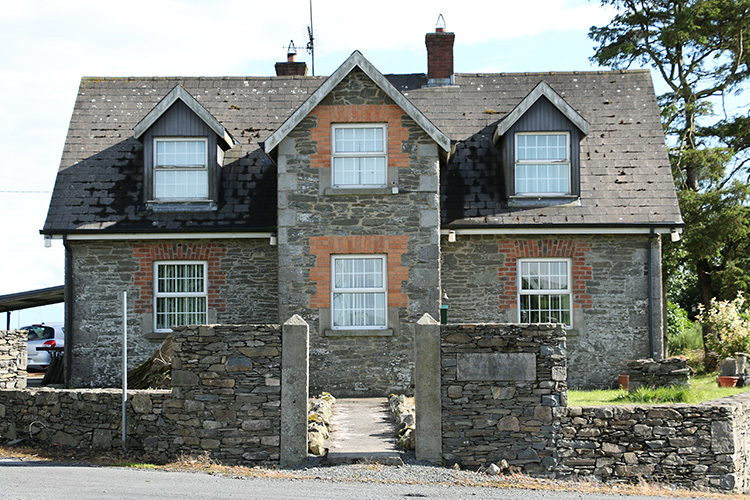 Kednaminsha National School: Established in 1849 by Lord Bath to teach his tenants’ children modern farming methods, the school’s first master was a Sligo man, Patrick Kevany. Kavanagh attended under Miss Cassidy, but was an indifferent student and left at13, when he was apprenticed to his father. 13. Mc Enteggarts’ Boarding House: Now in ruins, it was here that the first schoolmaster of Kednaminsha found lodgings, and met local widow Nancy Callan with whom he began a relationship. Nancy became pregnant, and Kevany lost his position at the school and was forced to leave Inniskeen. Nancy gave birth to a boy, christened “James Kavanagh”, and raised him in the house at Mucker where she lived with her brother. 14. House of the Wake: In “THE GREEN FOOL”, Kavanagh describes a wake he attended with “Red Pat” (Jennings, the pig killer), who made on art of forecasting to the minute the time at which a person would die. The chapter was based on a wake Kavanagh attended in this house. 16. 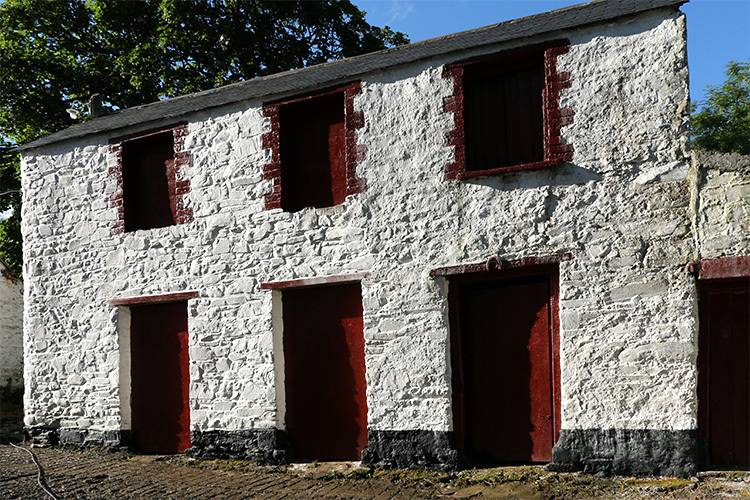 The Kavanagh Homestead: Originally a thatched cottage, the house remains in the ownership of the Kavanagh family today. When Kavanagh was born in 1904, they owned only the small garden in front of the house. Later, the bog beyond was purchased, and later still, the small field to the rear of the house.